Fifty of the foremost diverse children’s authors and illustrators–including Jason Reynolds, Jacqueline Woodson, and Kwame Alexander–share answers to the question, “In this divisive world, what shall we tell our children?” in this beautiful, full-color keepsake collection. 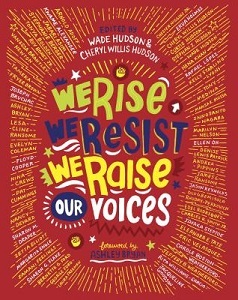 Featuring poems, letters, personal essays, art, and other works from such industry leaders as Jacqueline Woodson, Jason Reynolds, Kwame Alexander, Andrea Pippins, Sharon Draper, Rita Williams-Garcia, Ellen Oh (cofounder of We Need Diverse Books), and artists Ekua Holmes, Rafael Lopez, James Ransome, Javaka Steptoe, and more, this anthology empowers the nation’s youth to listen, learn, and build a better tomorrow. What Shall We Tell You? Joseph Bruchac, photograph by Charles R. Smith Jr.
Eleanora E. Tate, photography by Chester Higgins Jr.
Where Are the Good People? What Songs Will Our Children Sing?